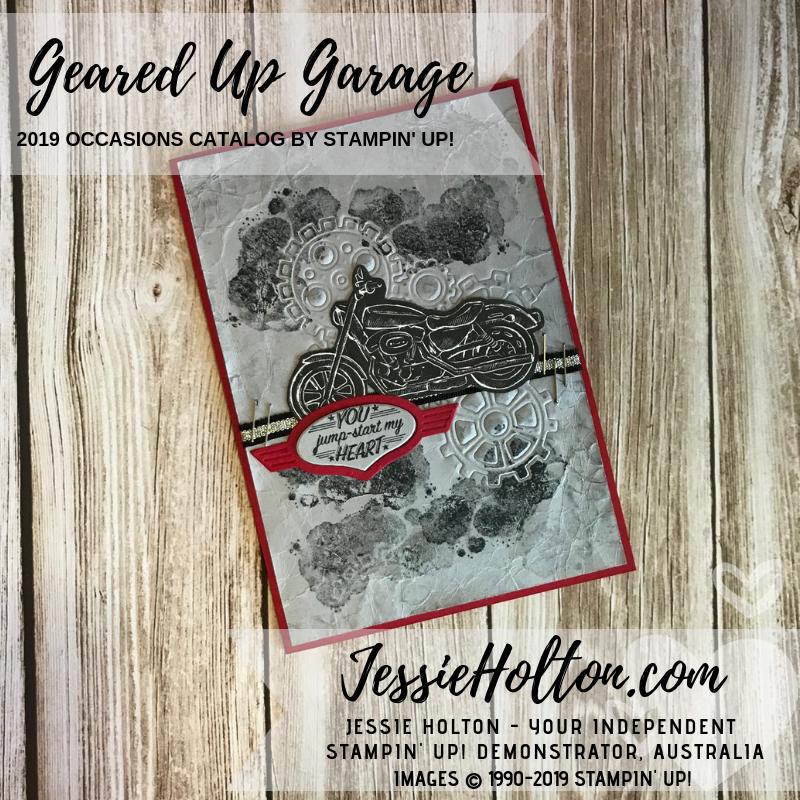 Today I've got a Masculine Card using Geared Up Garage using the Embossing Mats & of course, another Video Tutorial for you. 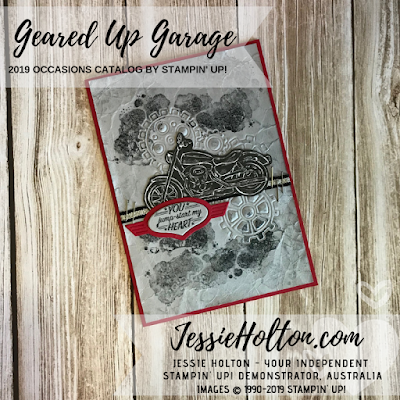 This card has a lot of texture & I'll show you how I've roughed up the edges, dirtied it up & embossed the gears to make it really masculine. I have used Smoky Slate, Basic Black & Real Red. 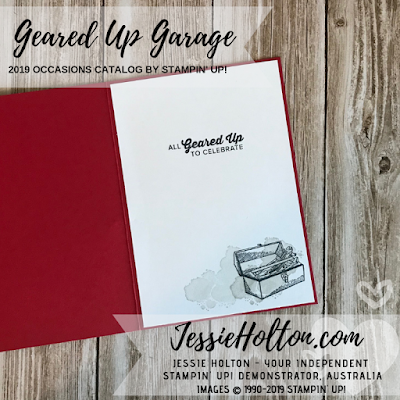 I think this colour combo lends itself to Valentines & the sentiment is almost heat shaped. This is the card I gave my hubby this morning for Valentines. 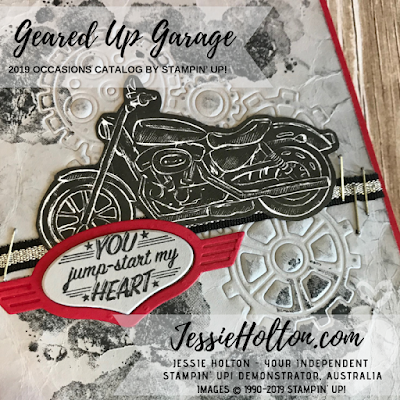 The motorbike is fussy cut from the Classic Garage Designer Series Paper & the sentiment is die cut from the Classic Garage Dies. The gears are also one piece & included in the dies there are also a bunch of separate gears. 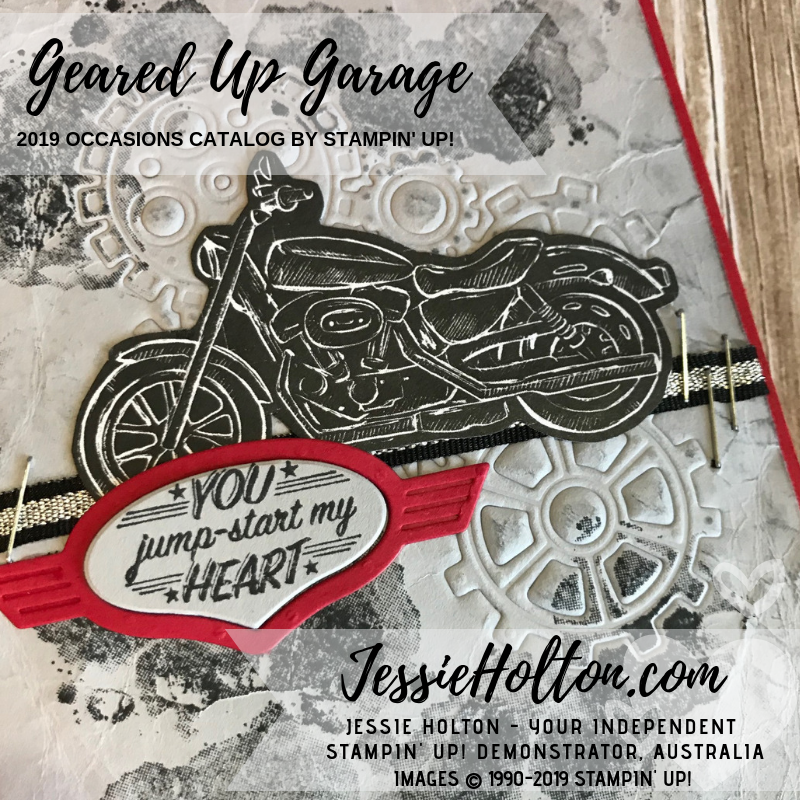 I have used them with the Embossing Mats on the Big Shot to achieve this look & then stamped the grease stamp in Momento Black ink over the top. 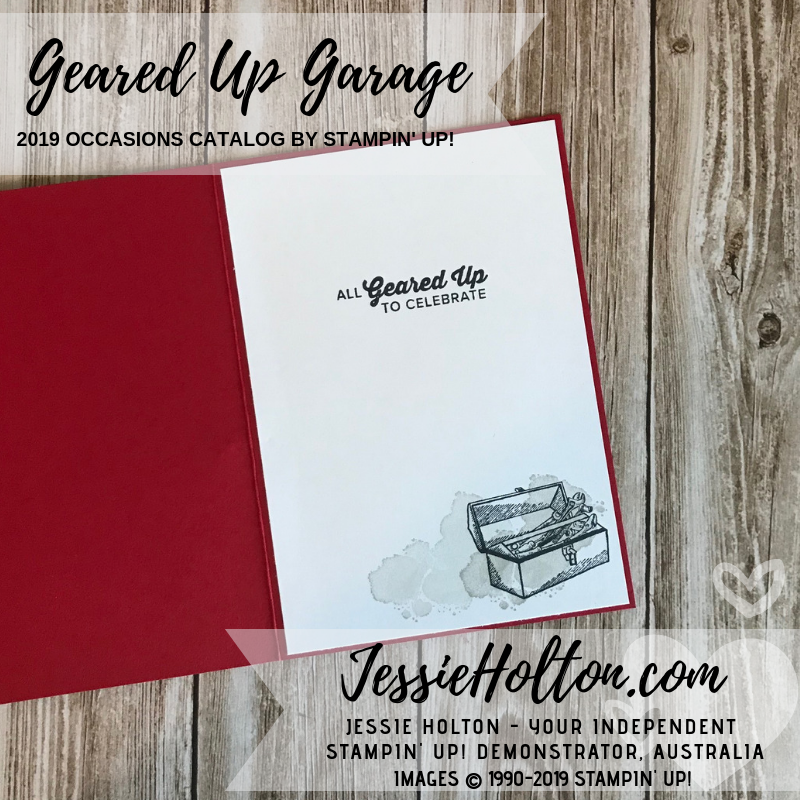 The inside is stamped with Momento Black & Smokey Slate ink.